Henry completed a five year bachelor's course at Guangzhou University of Tradition Chinese Medicine which included one year of clinical residency at the Traditional Chinese Medicine Hospital in Guangzhou, China. He graduated in 1988 and holds a bachelor's degree in Medicine. He went on to tenure as senior lecturer from 1988 to 1997 at Guangzhou University of Traditional Chinese Medicine, while also practicing as a physician at the acupuncture clinic associated with that university. He was also a member of the prestigious Chinese Acupuncture Association for eight years. During Henry's tenure at the Guangzhou University of Traditional Chinese Medicine he conducted and published many clinical studies on acupuncture and Chinese herbal medicine, some of which are mentioned below. In 1995 Henry was invited by the Chinese High Education Committee to visit the Victory College of Traditional Chinese Medicine in British Columbia, Canada and spent two months touring and lecturing there. 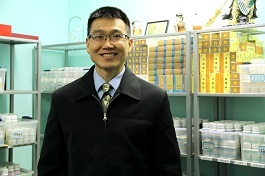 Henry has held the position of teacher/lecturer, clinical supervisor and NZQA Authorised Assessor at the New Zealand School of Acupuncture and Traditional Chinese Medicine since 1997. With over 30 years of experience, research and teaching, he has successfully treated thousands of patients, which has been demonstrated through the effectiveness of his many treatments. Jane has over 30 years of study and clinical experience in China and New Zealand, specializing in Acupuncture and Traditional Chinese Medicine. She received her Medical Degree after completing a 5 year course in Guangzhou University of Traditional Chinese Medicine in 1988. She practiced Acupuncture and Traditional Chinese Medicine in Guangdong Provincial People's Hospital in China for 10 years. 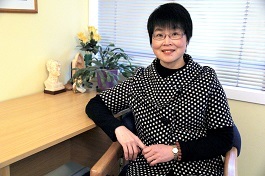 She now has clinical practices in Acupuncture and Traditional Chinese Medicine in Wellington and the Kapiti Coast. With over 30 years of experience in practice,she has successfully treated thousands of patients. which has been demonstrated through the effectiveness of her many treatments.